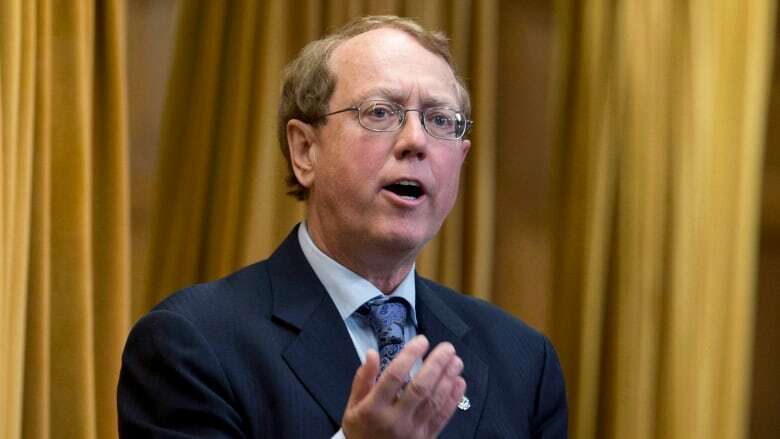 New Democrat MP Murray Rankin said today he's still thinking about whether to run for his party in this year's federal election — despite having said he intended to make a decision about his future by early January. "I'm one of those people in the yet-to-be-nominated, yet-to-confirm category," Rankin told CBC News. "I'm thinking about it. It's four more years. I'm not a spring chicken anymore. I've got to figure out with my family whether … taking me into 2023 of my life is something I want. All those things have to be sorted out. I am definitely thinking about it right now." Rankin said that he will make a decision within the next month, despite having told the Canadian Press last year that he would make the decision by early last month. If he decides to join other NDP MPs and leave federal politics before the fall campaign, he'll leave behind a party facing down an election cycle without a quarter of its current caucus. Tom Mulcair gave up his seat in Outremont after he was ousted as party leader. Kennedy Stewart, the former NDP MP for Burnaby South, stepped down to launch a successful run for mayor of Vancouver. Both of those seats go to byelections Feb. 25. Party Leader Jagmeet Singh is hoping to secure the seat in Burnaby South for himself. Sheila Malcolmson, the former MP for Nanaimo-Ladysmith, gave up her seat to run as a B.C. MLA in Nanaimo, an election she won last month. Erin Weir, the former NDP MP who now sits as a party of one representing the defunct CCF, was kicked out of caucus by Singh a year ago after an investigation confirmed some of the harassment and sexual harassment allegations made against him. Another six NDP MPs have announced they will not run in the next federal election: David Christopherson (Hamilton Centre), Fin Donnelly (Port Moody-Coquitlam), Linda Duncan (Edmonton Strathcona), Hélène Laverdière (Laurier-Sainte-Marie), Irene Mathyssen (London-Fanshawe) and Romeo Saganash (Abitibi-Baie-James-Nunavik-Eeyou). Robert Aubin, the MP for Trois-Rivières, has said he is pondering a choice between carrying on in federal politics or making a run for mayor in Trois-Rivières. Rankin, meanwhile, has accepted a job — an unpaid one, he told CBC News — as the B.C. government's representative in its Indigenous reconciliation process with the Wet'suwet'en. The news that Rankin has yet to commit himself to running in the fall comes as his party continues to struggle in Quebec, scene of the 'Orange Wave' that propelled the party to the Official Opposition benches in 2011. Over the past month, three polls have put the NDP below the 12.2 per cent of the vote the party captured in Quebec in the 2008 federal election, when Mulcair was the province's sole NDP MP. The party stands at 13.8 per cent support nationally in the CBC's Poll Tracker aggregate of federal polling. A recent Nanos poll found that just six per cent of Quebecers pick Singh as the best person to be prime minister, well behind Prime Minister Justin Trudeau (44 per cent), Conservative Leader Andrew Scheer (18 per cent) and People's Party Leader Maxime Bernier (10 per cent). This story has been updated to note that an independent investigation found some of the allegations against MP Erin Weir had merit. Weir disputes the findings and is attempting to run for the party again in October's election.